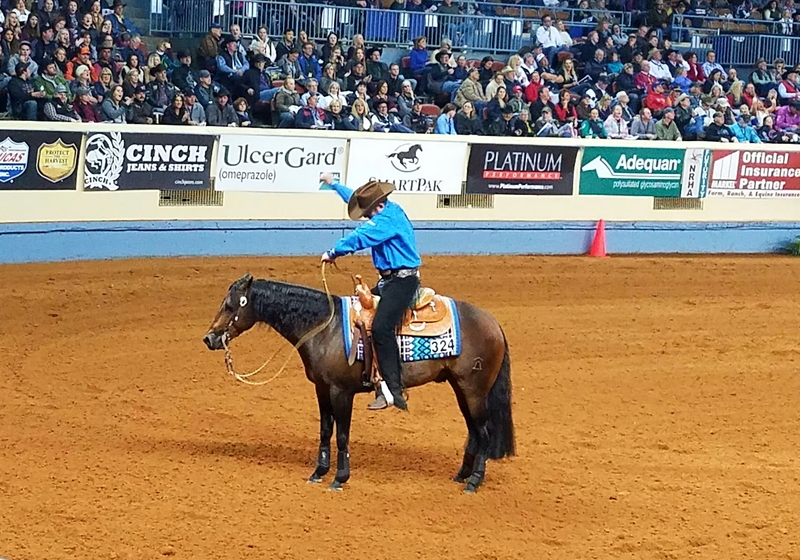 Once again I had the opportunity to attend the National Reining Horse Association‘s marquee event: The NRHA Futurity & Adequan North American Affiliate Championships. 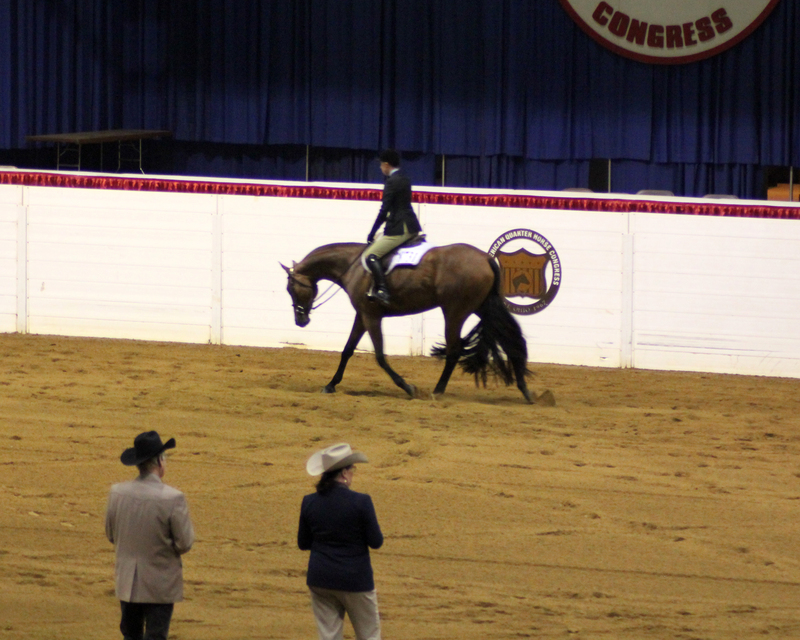 I was doing coverage of the NAAC for the NRHA Reiner, and, as always, the experiences did not disappoint. Sometimes the Futurity isn’t just about the horses. 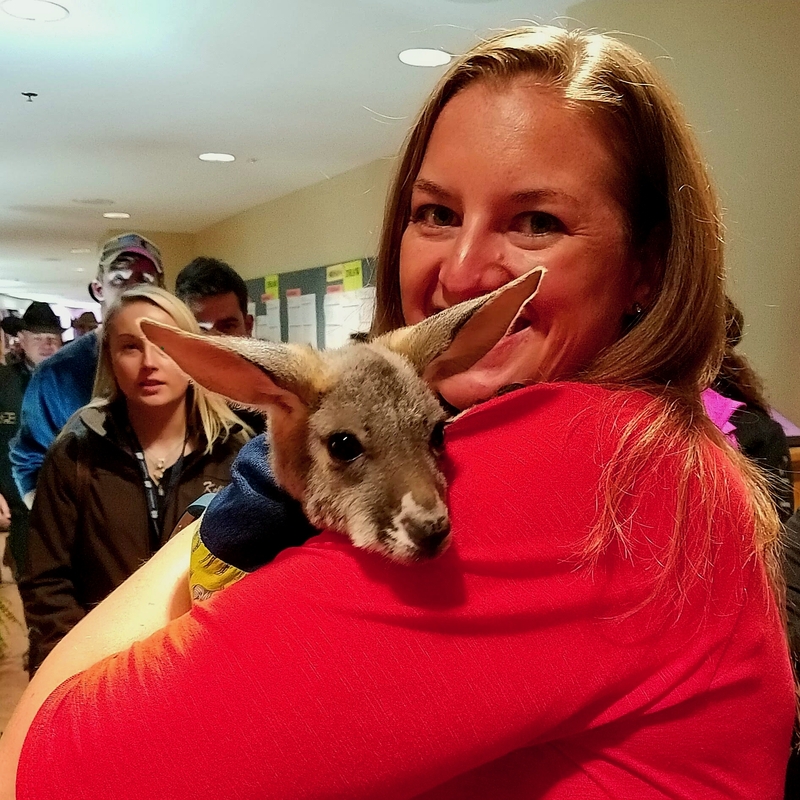 This 5-month-old Kangaroo joey is named Rosie Roo, and she was attending her first Futurity with her owner. That moment when you hear, “THE SCORE….” during the Open Finals. Andrea Fappani won the Level 4 on Spooky Whiz with a 225.5. 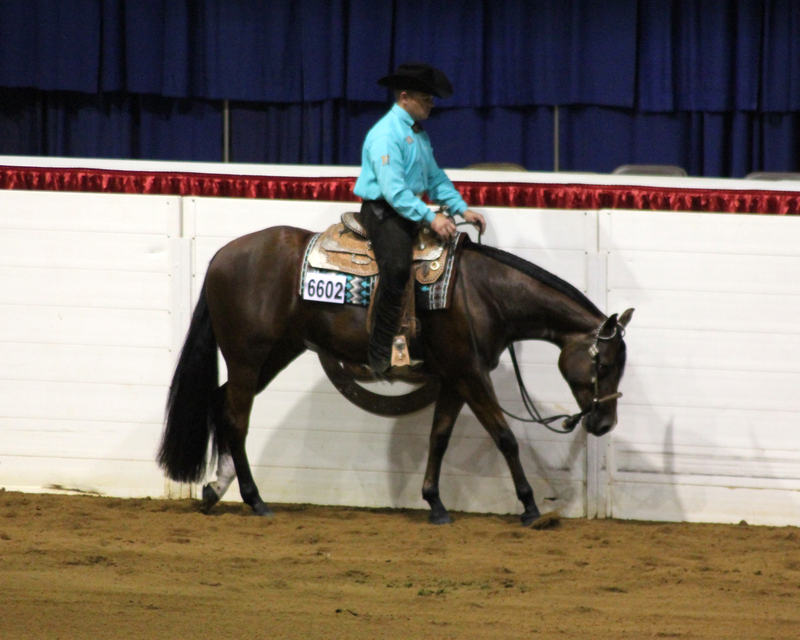 Just doing some daydreaming of my next reining horse…. 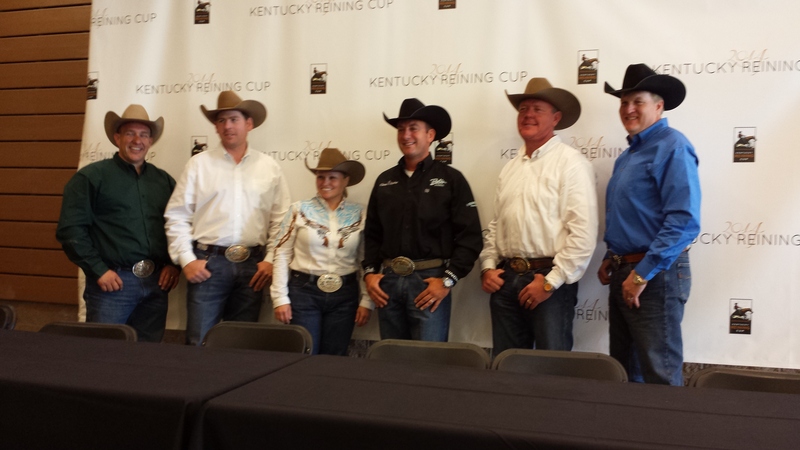 Six riders are now preparing their passports for Normandy, France, after a stellar showing at the 2014 Kentucky Cup Reining Event held during the Rolex Kentucky Three-Day Event at the Kentucky Horse Park in Lexington over the weekend. 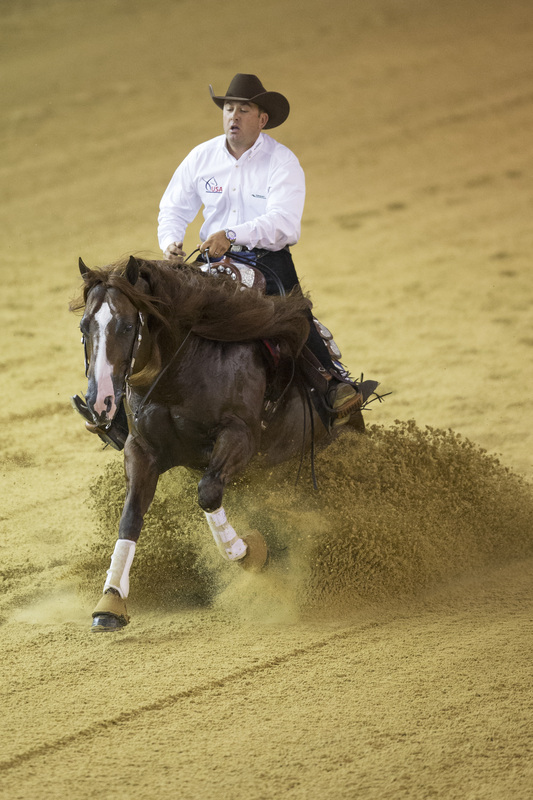 Over the course of two rides, the top reiners in the country battled it out for the honor to represent the United States in reining at the 2014 Alltech FEI World Equestrian Games (WEG). Shawn Flarida, riding Spooks Gotta Whiz, a 7-year-old stallion by Spooks Gotta Gun and out of Prettywhizprettydoes, won the CRI3* event with a cumulative score of 452.5. The “man in the green shirt” was untouchable as he claimed his fourth Kentucky Cup Championship. 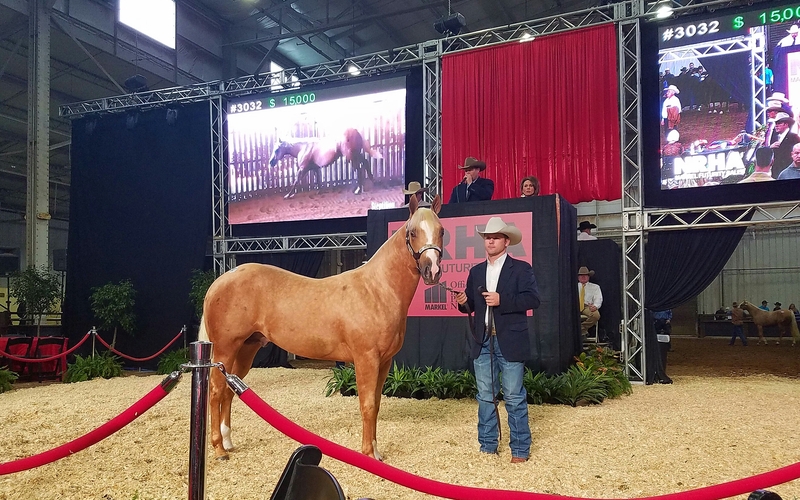 Finishing second was Mandy McCutcheon riding Yellow Jersey, a 10-year-old palomino stallion owned by her dad, Tim McQuay. 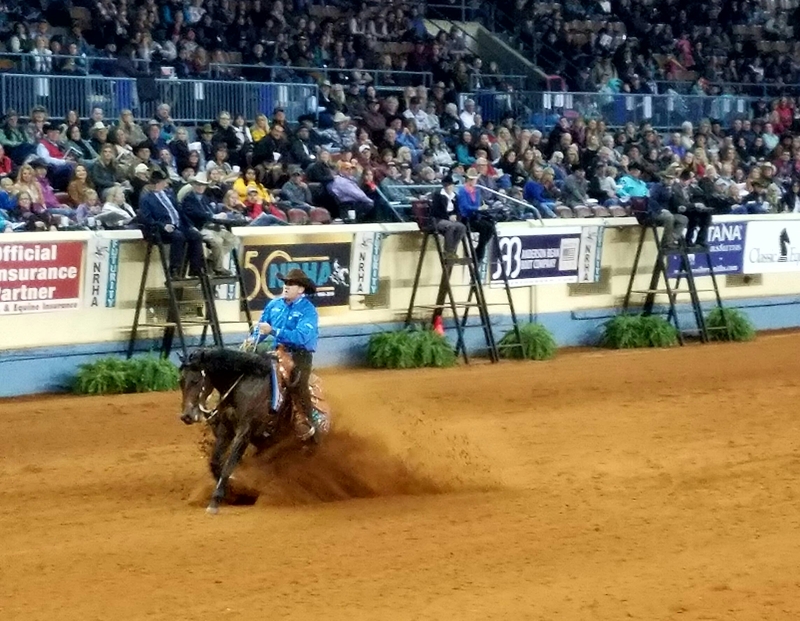 Jordan Larson riding the buckskin stallion HF Mobster earned the bronze, and Andrea Fappani riding Smoking Whiz rounded out the top four. Others chosen for the team included Fappani on Custom Cash Advance, Troy Heikes on Lil Gun Dunit, and Tom McCutcheon on Dun Git A Nicadual. 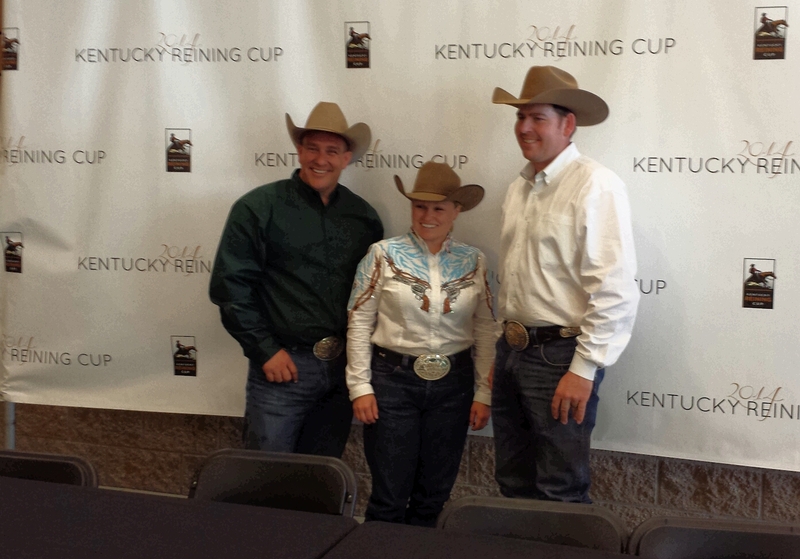 Kentucky Reining Cup Medalists: Shawn Flarida (gold), Mandy McCutchecon (silver), and Jordan Larson (bronze). For Mandy and Heikes, it will be their first foray into the international spotlight, but both are seasoned competitors who are looking forward to the event. For Mandy, she’s attended every WEG since reining joined the event in 2002. She attended as a supporter of either her father or husband, but this time she gets to compete, as the first woman on Team USA. 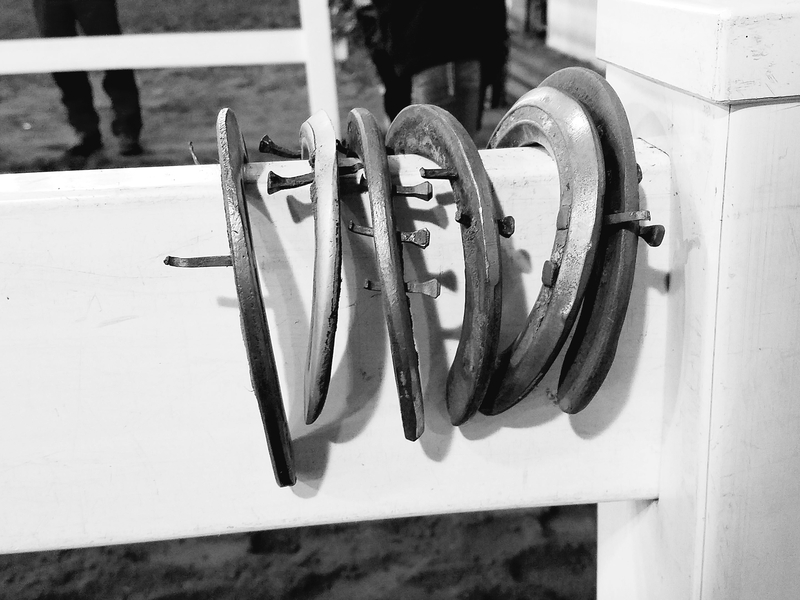 The team will learn about the different FEI rules, including riding schedules, team meetings, and more in the coming months, and they hope to be able to scout out the facilities before they ship their horses overseas. The games will take place August 23rd to September 7th, with reining being held August 25-30. 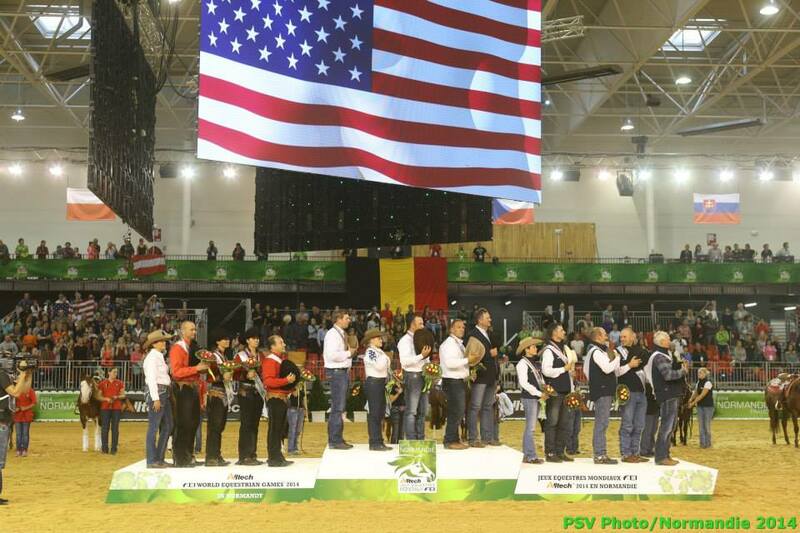 Who’s is the biggest competition for Team USA, a group that has claimed Team Gold ever since the first reining event at the WEG in Juerez, Spain, in 2002? “Ourselves,” everyone stated in unison. Team USA Reining: Shawn Flarida, Jordan Larson, Mandy McCutcheon, Andrea Fappani, Troy Heikes, and Tom McCutcheon. Expect a Good Time at Rolex! It’s always fun to receive media credentials in the mail–I never get tired of it! 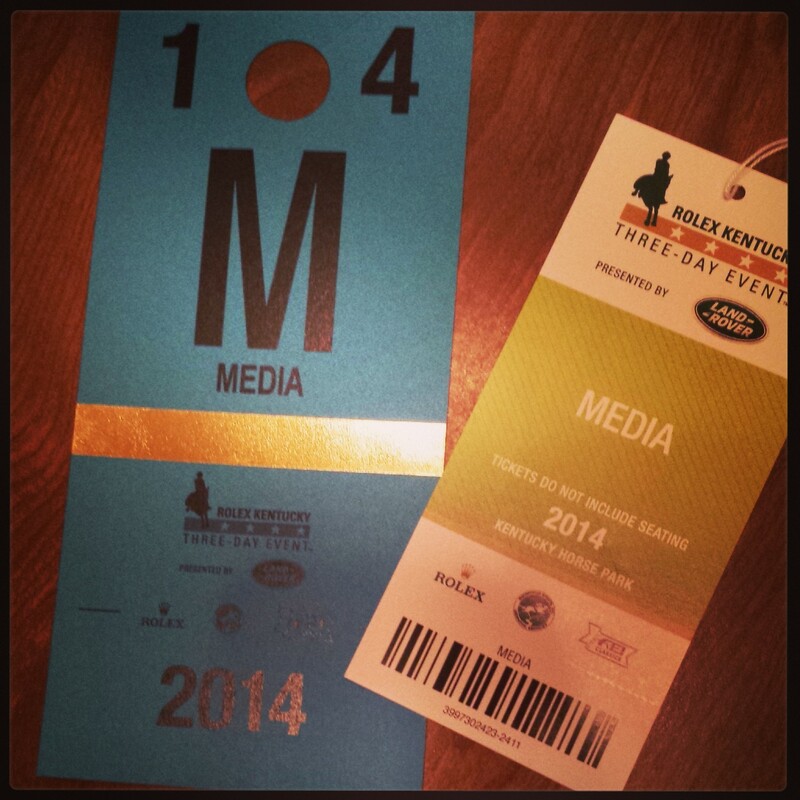 Monday evening I received my media credentials for the 2014 Rolex Kentucky CCI**** Three-Day Event and the Kentucky Reining Cup, which will be held a the Kentucky Horse Park in Lexington next weekend. I’ll be doing double, or maybe it’s triple, duty during Rolex. 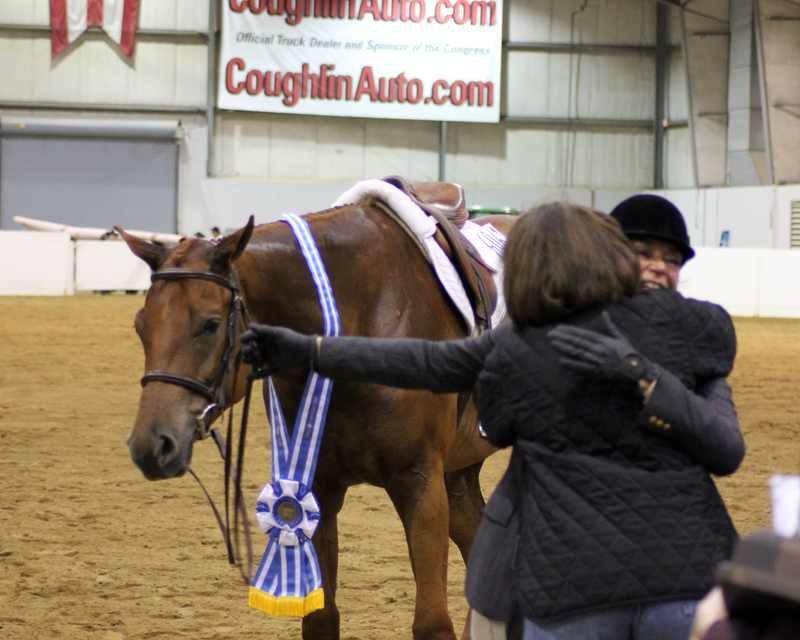 First of all, I will be covering the atmosphere and surroundings of the event for the EquineChronicle.com. 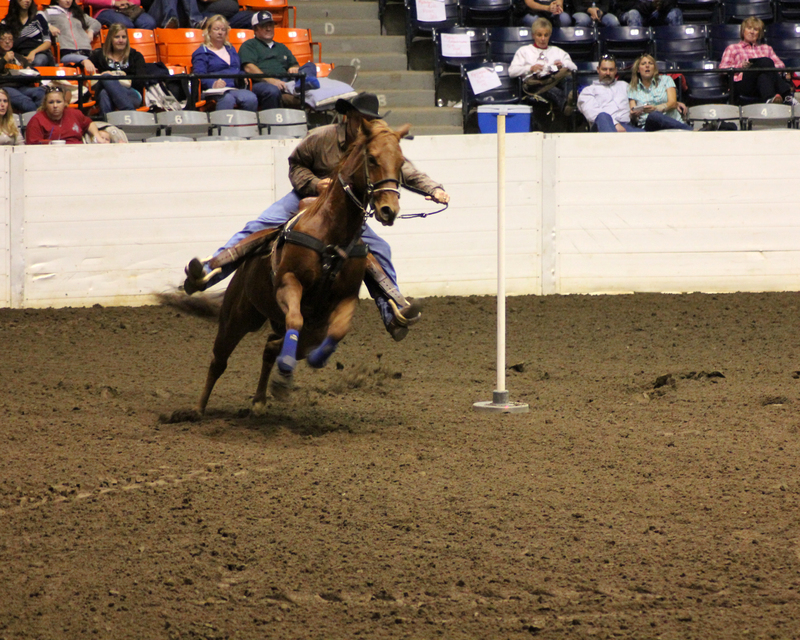 In the evenings I’ll be covering the Kentucky Reining Cup, which is one of the largest FEI Reining events in the world. It’ll also be the selection event for Team USA for the 2014 Alltech World Equestrian Games, which will be held in Normandy, France, in early Fall. Meanwhile, I will get to work for Bit of Britain in their giant tent! I’ve attended Rolex in many different capacities, but this will be a first as I will be working for one of the sponsors and their Ariat boots representative. It’ll be fun to be part of a great company. Be on the lookout on the EquineChronicle.com and on my Facebook page for more details! I’m finally back from Harrisburg, Pa., where I was competing with my Pembroke Welsh Corgi, Dally, at the 2014 American Kennel Club National Agility Championships. This was not just a fun and competitive trip, but also a work trip. I was able to cover the event for the Canine Chronicle, both via the website and in the print magazine. I was able to do one quick write-up (unfortunately I had some computer issues that prevented me from doing more work) for the website, and I’m in the process of working on the event wrap-up as we speak. Our trip out there wasn’t successful on my end 100%, but our traveling partners (and best friends) did awesome! 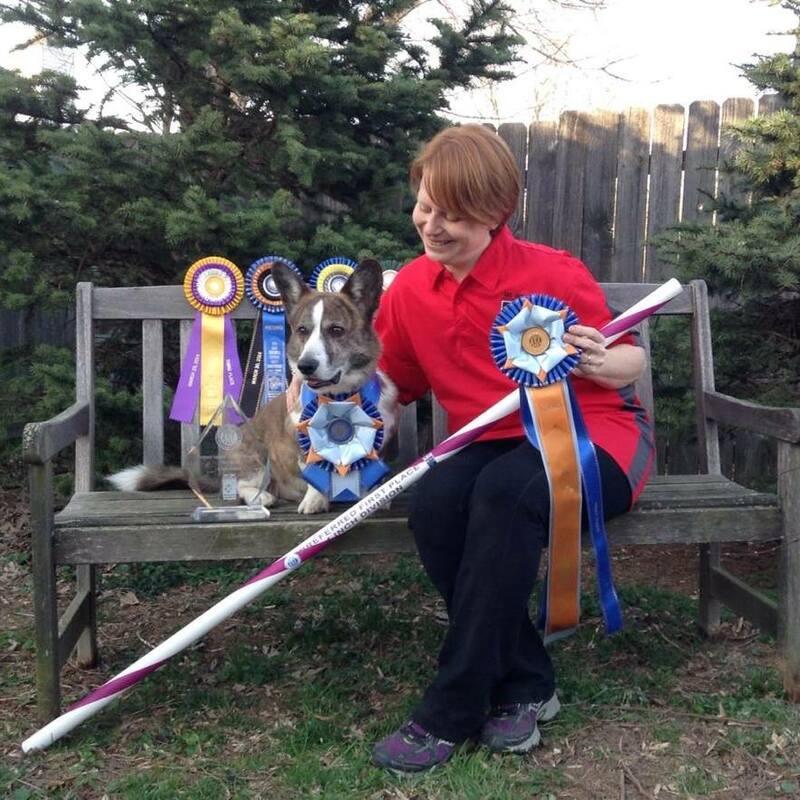 I’m lucky that I get to interview my best friend for part of my event coverage because she and her Cardigan Welsh Corgi, Porter, won the Preferred National Championship in 4″! It was such an awesome thing to get to watch and cheer on my friend, cry with her and hug her as we celebrated together. I’ve seen the trials and tribulations she’s gone through training Porter, and I knew she was going to come out on top. The top canine athletes have converged on Harrisburg, Pa., to compete in the 2014 AKC National Agility Championships. This year 1,640 purebreds and mixed breeds representing 112 breeds and 48 states, including Canada, are competing for bragging rights as the National Champion in one of 11 jump heights. The judges for this year’s event are Tom Slattery (Afton, Minn.), Alan Arthur (Leander, Texas), Carla Boudrot (Cleveland, Tenn.), Terri Campbell (Huntsville, Ala.), Diane Craig (Duluth, Minn.), Pamela “Candy” Nettles (Elmer, Okla.), and Howard Etzel (Hollidaysburg, Pa.). Then be sure to check back here for when I post the final article from the magazine.